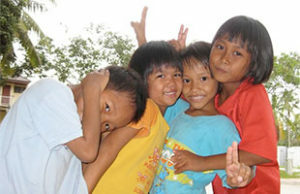 Every day children arrive in the holiday resort town of Pattaya hoping to find a better life for themselves. Many have left a life of abuse and poverty, and many think the streets of Pattaya are paved with gold. The reality is that many fall into the hands of pimps who will sell them to paedophiles, where they will be beaten if they refuse to do as they are told. If it is not the pimps who catch them it is the local gangs who make the children beg or steal. Many are forced to take drugs, making them addicted so that they will always do as they are told and not run away. Most children in Thailand are loved and cared for by their families, but in resorts like Pattaya there are an increasing number of street children and orphans sold into prostitution and criminal activities. The development of an orphan home and drop in center in Pattaya are helping to ease these awful conditions and give some children freedom and hope. The Drop-In Centre means they have a safe place to sleep, they won’t go to bed feeling hungry, they have someone to talk to and they are beginning have their childhood back again. Some of these kids will eventually move to the Fr. Ray’s Village. A place where they will have a home in a community, one where they will live with a ‘mother’ and ‘brothers and sisters’ and be part of a family. Something every child wants and needs. The Drop-In Center and the Fr. Ray’s Village are managed by the Fr. 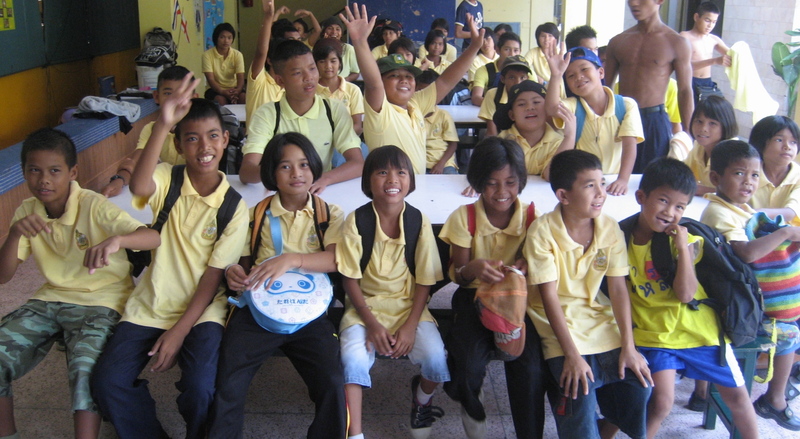 Ray Foundation, founded to help the disadvantaged of Thailand. Global Angels is no longer working with this community.